Alright, welcome to this page. I wrote this one especially for you. I just notice through my stats that some of you are so keen to learn how to really make money online. Some of you just wanted to make extra cash or make an additional income while taking advantage of a free internet connection on your job site. I started this blog during my beginner years when just like you I wanted to make some damn money online. I don’t know but life is so funny and I can be one of the thousand dumb asses when it comes to making money online. Needless to say many of the posts you’ll read here are merely wild thoughts and silly opinions. Anyway, before clicking those ads on the right sidebar of this site and being lost somewhere in the sea of information overload, please take time to read on some of the articles that I carefully selected for you. I’m hoping that these posts would somehow help you. I realized that most of the searches are coming from my own country so I really don’t want to mislead your hopes to make money online. Those ads which you see on the right sidebar may not be intended for you. Many of you wanted to make money on the internet for free without having to spend a dime. There many ways to do that such as taking paid surveys, writing articles, blogging, taking freelance jobs, and promoting GPT sites. Answering paid surveys. 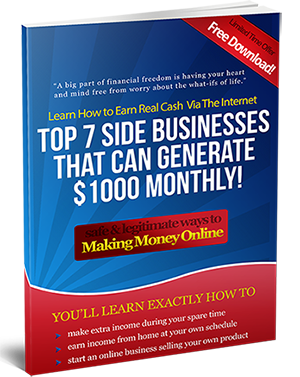 This is one of the top free cash earning programs that you’ll find on the web. You will certainly make some extra cash with this but unfortunately the Philippines is not yet in good position when it comes to this kind of money making avenue. Just leave that to the residents of U.S., U.K., and Canada. Taking Freelance Jobs. Again, so this where many Filipinos are good at and many are making extra income online with it as far as I’ve observed during the past 3 years of being online. The best place I can recommend you is Odesk. It is a great place to get paid while doing some extra jobs that are related to your skills. Jobs there range from a simple data entry, writing, web programming and developing. Here are some articles about freelance jobs. So that’s it for now folks. I’ll keep updating this page as time permits. If you have some questions just shoot me an email via the contact page.